Vlogger-turned-artist Janina Vela opens up about her friendship with Donny Pangilinan and dealing with her bashers for being constantly linked to the teen heartthrob. Following the success of her singles “Hesitate” and “Sorry I Left,” vlogger-turned-singer Janina Vela continues to make waves in the local music scene as she has finally released her new EP under Universal Records titled Love You The Same. Janina, who not only worked on a song with Donny Pangilinan but is also close friends with him, opened up about their friendship including why she didn’t like him when she first met him in a recent press interview. “Hindi ko siya nagustuhan when I met him. Kasi medyo parang pa-cool naman nito. Parang ganun. Ayoko kasi sa mga ganun. So I was like shocks I don’t like him. And then, we had work together in Singapore. Nag-start kami sa Malaysia, I didn’t like him. And then we had work in Singapore a couple of months after. ‘Cause we were the only influencers from the Philippines. So medyo na-stuck kami together. So he had no choice but to talk to me. Last December,” she said. “Donny was very nice because he just let me do everything ‘cause I’m super hands on with everything like when it comes to my music, when it comes to my lyrics, even my YouTube videos. Everything’s me. So siyempre that carried on to my music video and me directing and like writing the script for it,” she said. 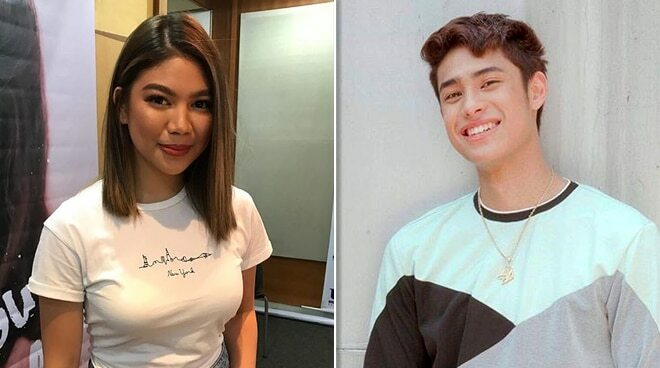 According to Janina, Donny also helped her on the completion of the song including some parts of the songwriting process where she got emotional over some of the lyrics written by Donny himself. “I had the lyrics for many months pero hindi ko siya matapos for some reason I guess feeling ko kasi ‘yun ‘yung last song sa buong EP na nasulat ko. And I don’t know. I couldn’t think of a melody, I couldn’t finish some of the lines. And then we met at a coffee shop a month after Singapore. And then I brought my guitar sa coffee shop and then we started writing. And then it was like actually really, really easy. He was able to put melodies to my words and finish my sentences,” she stated. “Pero may line na sinulat niya, ‘Were we not worth it? Was I not worth it?’ nung sinulat niya ‘yung medyo naiyak ako. Oh shocks and sakit nito ang galing mo talaga. And that’s kind of when I knew that this song will be a hit. Like I know that a lot of people will relate to this,” she added. Janina also shared what she thinks about being constantly linked to Donny Pangilinan. “Medyo nasanay na po kasi from YouTube kasi ganun din rin ho sila. So they’re like every guy who’s on my vlog shini-ship kami. So medyo nasanay na rin po. At first awkward kasi friends lang kami. Parang weird kung nilalagyan ng malice. But eventually, I ended up looking at my shippers like kasi my closest fans. Sila ‘yung laging pumupunta sa mga shows ko. So sa YouTube palagi ko silang hinahanap. So they became really part of my VelaFam. So now, parang we just laugh about it or like yeah, we have to basta he helped me out through that weird time,” she said. While she has received a lot of bashing over her friendship with Donny Pangilinan from DonKiss fans, she said she simply couldn’t take it against them as she knows that the fans are just being supportive of their idols. “That came up a couple of times. But you know, I understand. I’m very glad they are very supportive of Donny and Kisses (Delavin). So I can’t really get mad at them for that because I don’t want them to not support DonKiss, right? Sana na lang they don’t have to hate on me,” she said. Janina also revealed that she has always been a fan of Donny’s love team partner and that she has already met her in the past. “Yes, I was a fan of her from PBB. I met her in one of the Walwal screenings. She’s very nice naman. So there’s no hard feelings naman on how her fans sometimes react. But it’s fine naman,” she stated. Meanwhile, Janina Vela’s EP titled Love You The Same now available in all digital music streaming platforms.